One of the most talked-about movies from this year’s Sundance Film Festival was Brooklyn, the ’50s-set tale of a young Irish immigrant who finds herself torn between her new life in America and the one she left behind. Turning heads in the starring role is Saoirse Ronan, whose strong performances have grounded even middling films. In his recap from Sundance, A.A. Dowd lauds Ronan’s performance, saying that “her transformation from fresh-off-the-boat introvert to confident city slicker is entirely credible, and one of my biggest pleasures of the festival.” She, and the film itself, definitely seem to be names to keep an eye on as awards season approaches. 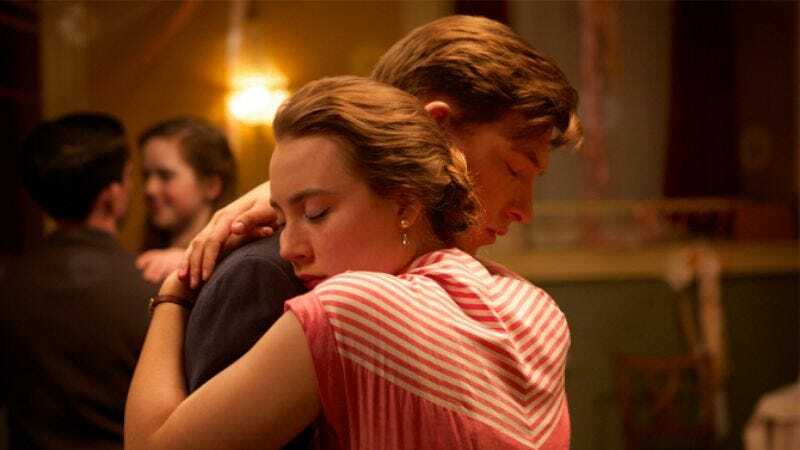 Brooklyn opens in Chicago theaters on November 13, but The A.V. Club and Fox Searchlight Pictures have an opportunity for you to see it for free on November 11. For your chance to win a pair of passes to the advance screening, simply follow the link here and enter the promo code BROOK1. Remember: Advance screenings are often intentionally overbooked, so be sure to arrive early if you want to guarantee yourself a seat. An official plot synopsis and trailer for the film can be found below.